A Year of Being Here: Mark Svenvold: "Relearning Winter"
fueled by more clouds, hello again. shine in the fog of a huge moon. "Relearning Winter" by Mark Svenvold. Text as published in Soul Data: Poems. (University of North Texas Press, 1998). 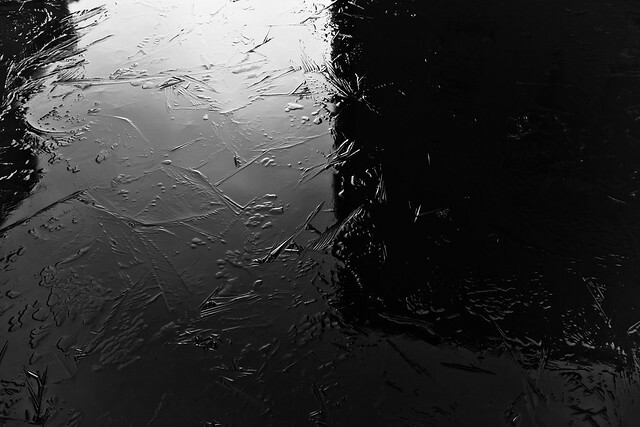 Art credit: "Black Ice," photograph taken on January 31, 2011, by © Alexander Ipfelkofer. Didn't he mean "sliver" of sunset, not "silver" of sunset? Ah, you caught a typo. Thank you! I'll make the correction.